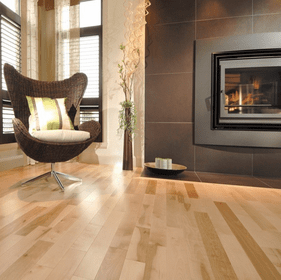 Mirage Hardwood Flooring offers high quality wood flooring with superior durability and timeless style. 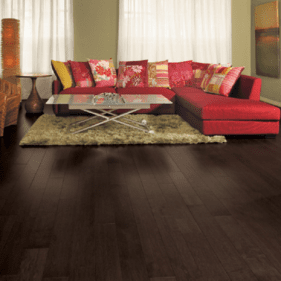 A notable manufacturer for reliable wood flooring, Mirage Hardwood offers options of solid and engineered hardwoods for flooring that best suits your home, lifestyle and application location. Catering to homeowners unique needs, all of these exceptional hardwood collections display endless charm, visual depth and timeless allure. Offering nanotechnology finishes, Mirage Hardwood floors are five times more impermeable to damages than other competing floors. 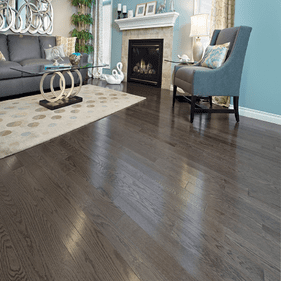 Additionally, this revolutionary finish allows UV and cracking resistances for hardwood flooring that will be cherished for generations. Redefining the flooring industry, Mirage Hardwoods reveal a wide range of species, styles and finish for optimal creative customization. 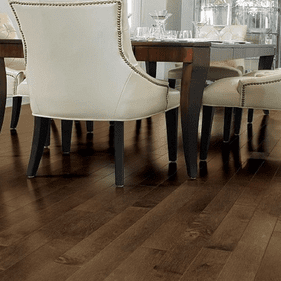 Likewise options of Semi-Gloss, a traditional finish, and Cashmere, a more silky matte finish, brings out the inherent beauty and glow of these genuine hardwood floors. Backed by exceptional warranties allowing for both residential and commercial applications, Mirage delivers wood flooring with sustainable practices actively ensuring a low carbon foot print with every collection. The Classic Yellow Birch collections offers a contemporary twist to traditional wood flooring with sleek visuals on 3 wide planks. Differing, Classic Red Oak delivers the iconic, ornate intricacies of oak hardwood with a selection of seventeen distinct finished on 3 planks. Offering a more global flair, the Mirage Exotics collection reveals a playful personality adorned with nine luminous, glowing finishes with species such as tigerwood, koubari, Brazilian cherry and more. 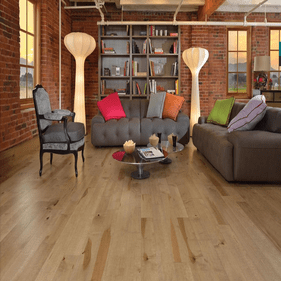 A well versed selection of top-quality flooring, Mirage Hardwoods offer the best choice in wood flooring with outstanding durability, style and reliability. If you like Mirage, have you seen Lauzon Hardwood with Pure Genius? 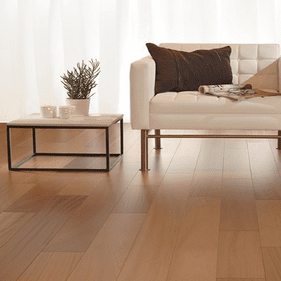 Lauzon Hardwood is identical in beauty, durability, and feel. 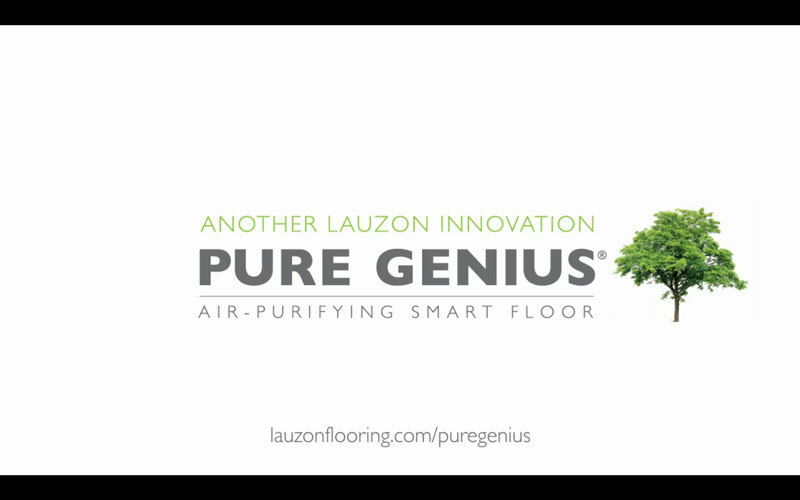 With a patented floor coating available, Pure Genius, that actually cleans the air! 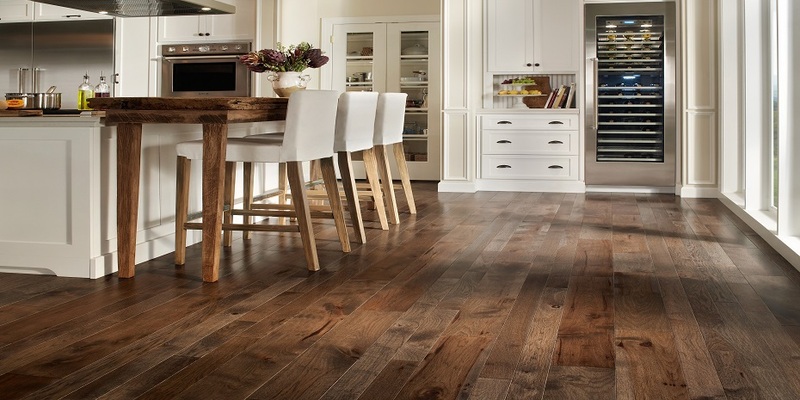 Customers who buy Lauzon Hardwood save $928, on average, compared to Mirage. Call 510-698-5142 to find out more.